I’m excited to share with you a training for children’s ministry parents and volunteers we recently held. David Anderson, Children’s Ministry Strategist for Louisiana Baptist Convention, helped us understand how different Bible skills are understood at different developmental stages in children’s lives. If you would like a copy of the handout and booklet provided at this training, please let me (David) know! Last month, the Barna Group reviled the results of their 2016 Teen State of the Bible research. If you have a few extra moments, I’d recommend reading over the full results. There are many positive responses that can encourage us, but here are a few that may renew our resolve to help kids understand the Bible. Half of teens say the Bible contains factual/historical errors. About 1 in 3 teens say the Bible contains everything a person needs to know to live a meaningful life. 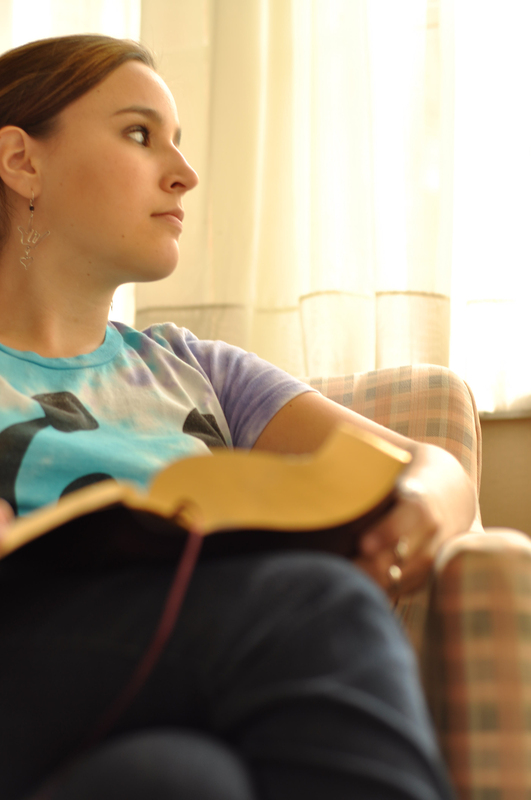 Only 47 percent of teens say the Bible is a source of hope. The truths in the Bible are without error and will last forever. The Bible is God’s message about Himself and God’s plan for salvation. The Bible is the only inspired, written Word of God. The Bible teaches that salvation through Jesus is God’s gift of forgiveness. The Bible teaches how to live a Christian life by following Jesus. Parents, help your preteens understand these concepts. Make Bible reading a special time in your home! The weapons of our armory are the very best; for we have made trial of them, and have found them so. 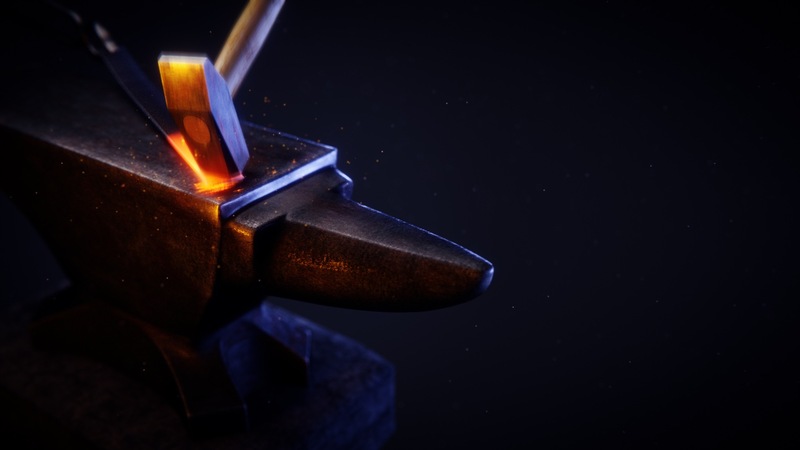 Some of you, younger brethren, have only tested the Scripture a little as yet; but others of us, who are now getting grey, can assure you that we have tried the Word, as silver is tried in a furnace; and it has stood every test, even unto seventy times seven. The sacred Word has endured more criticism than the best accepted form of philosophy or science, and it has survived every ordeal. As a living divine has said, “After its present assailants are all dead, their funeral sermons will be preached from this Book – not one verse omitted- from the first page of Genesis to the last page of Revelation.” Some of us have lived for many years, in daily conflict, perpetually putting to the proof the Word of God; now we can honestly give you this assurance, that it is equal to every emergency. After using this sword of two edges upon coats of mail, and buckles of brass, we find no notch in its edge. It is neither broken nor blunted in the fray. It would cleave the devil himself, from the crown of his head to the sole of his foot; and yet it would show no sign of failure whatsoever. To-day it is still the self-same mighty Word of God that it was in the hands of our Lord Jesus. How it strengthens us when we remember that many conquests of souls which we have achieved through the sword of the Spirit! Praise God for his glorious gospel! What Christ has done on the cross is mankind’s only hope of salvation. May we continue to lean on God’s revealed, proven Word and the gospel of our Lord Jesus Christ. Are You Abiding in Christ? I recently returned from KidMin, a children’s ministry conference. It’s always a blast connecting with others that share a similar calling as you, and when that calling is reaching kids for Jesus, you know it’s going to be a fun time. 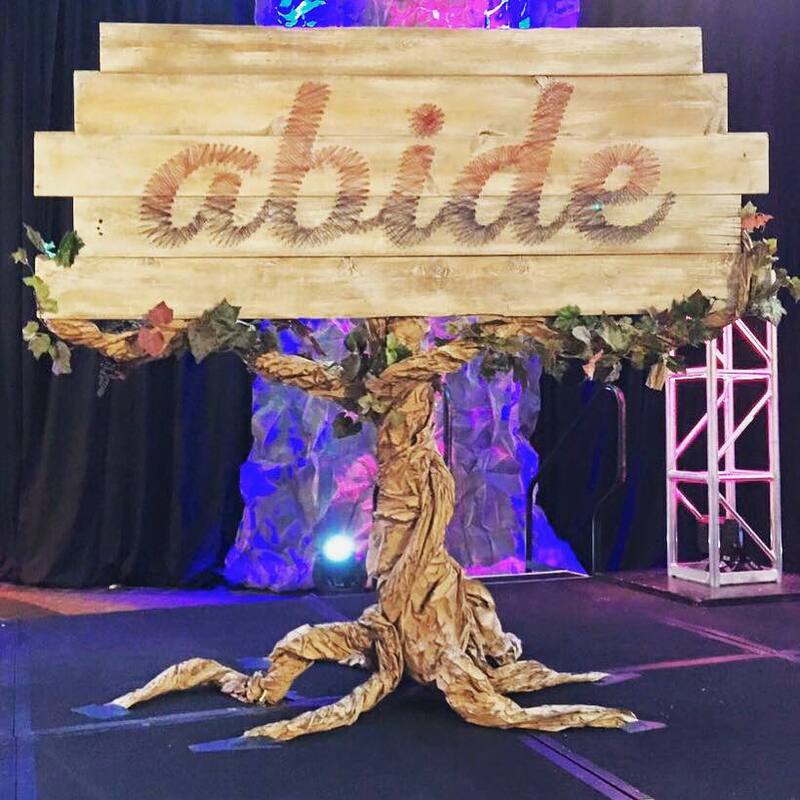 The theme for this year was abide, with a focus on John 15:1-17. The conference used yarn to represent vines. All over the conference, and even in the logo, you could see the yarn serving as a reminder of the True Vine. So, what does it mean to abide in Christ? To “abide” is to live, continue, or remain. So to abide in Christ is to know and follow Jesus (1 John 2:5-6). More than just checking a box, abiding is personal. Like a branch on a vine, we’re connected, in a living/growing relationship, yet we’re totally dependent on the vine. The vine comparison reminds us that we can’t bear any fruit on our own, it’s all from the Vine. Yes, we’ll need to be pruned from time to time (see verse 2). But it’s a loving cut to help us bear more fruit. Next time your family eats some grapes, pull out your phone and do a Google Image search for grape vine. Show your kids how the vine connects the branches, and through the vine, the branches are able to produce fruit. If your kids have already made a decision to follow Jesus as Lord, talk to them about John 15:10 or 1 John 4:13 and what abiding in Christ means. What is it to abide in Christ? A little contextual background on Isaiah 14:32 will help us greatly. Isaiah’s prophecy comes at a dark time in Israel’s history, as they are facing the threat of destruction from Assyria to the North. Already, Isaiah has prophesied the future destruction of Babylon (Isa. 14:1-23), as well as the fall of Assyria (Isa. 24-27), who is a “Babylonian type of empire”, who mocks God and oppresses His people. No nation that rejects the Lord God will stand, and both Assyria and Babylon would one day face the wrath of God. By his sovereign choice the Lord God uses unbelieving nations and empires to correct and refine his people, as HE preserves and sustains his remnant who will ultimately glorify his name (Isa. 10:2-22). The Assyrians to the north were pressing into Judah, threatening to destroy them. The wicked and faithless king Ahaz has disgraced the Davidic line of kings and the once proud Judah is no longer relevant in the eyes of the nations. The Philistines, having once pushed back the Assyrians, will once again face the full wrath of the bloodthirsty empire (Isa. 14:29). So, Philistia turns to Judah to form an alliance against Assyria, their common enemy. Yet the Lord declares through Isaiah that their alliance is with Him, not pagan idolaters. God promises that those who are established in Zion will be safe, and all the afflicted of God will find a place of peace and safety on Zion. Zion represents the presence and authority of God. Those who are surrendered to God will find hope in the midst of sorrow and peace in the midst of turmoil. The “messengers of the nations” will come to call God’s people into a partnership, yet there is no partnership to be had with those who reject God and who worship false gods. The people of God have always been and always will be safe by faith in God alone. Even those who are severely afflicted will find a true place of refuge in God. I know the word “afflicted” is a strong word, but I believe it is accurate. We are people who are often afflicted by the pressures of life happening all around us. The Christian life is not, as some would say, “all doom and gloom”. I firmly believe the life we have in Christ is one of joy, peace, and gladness. The most effective Christian witness comes from a believer who is “happy in the Lord.” But we also must be honest with ourselves and our condition; there is much that afflicts us in this life, whether it is from our own sinful pursuits and poor choices, or perhaps another person’s actions have harmed us, or even those instances where something unexpected has occurred and no person is really responsible. The promise we read in Isaiah 14:32 gives us a clear and hopeful outlook: the people of God who have been afflicted, hurt, damaged, and defeated in this life have a place to go to find true peace. This “place” has more to do with a person than an actual building or location. The refuge we need is “founded upon Zion”, the place that signifies the sovereign rule of God’s Son, Jesus. In Christ Jesus we find freedom and joy and a release from the burdens we carry from our anxieties and concerns in how we will save ourselves (1 Peter 5:7). Jesus promises us rest from all of that stuff (Matthew 11:28-30). He is all that we need (2 Corinthians 12:9). Do you have sorrows? Run to the refuge of Christ your Savior today, the one who bore all your sorrows on the cross. Do you have regrets and fears? Run to Jesus right now, the one who paid for those regrets and who calms your fears. Is there and pain and shame in your life? Run to the great and glorious refuge in Jesus; the one who heals your pain and who took all your shame upon himself in order to set you free and give you rest (Hebrews 12:2, Isaiah 61:7). Yes, the good news of the gospel really is THAT GOOD! Jesus is our refuge, where all of the afflicted in this world can find peace. Note: This is the second in a five part series on devotionals for adults from CentriKid camps. See part one for more information. To grow as a follower of Christ and child of God, you must know His Word intimately. It is vital that you set apart time to read, meditate on, and memorize God’s Word in order to learn more about what He wants to teach you. It is important for followers of Christ to hear the verbal proclamation of God’s Word often, but regular, personal study is equally essential. You must take an active role in reading the Bible for yourself and applying it to your life daily. Choose a Bible verse. It can be one listed above or one God puts on your heart. Read over the scripture once, consider its meaning for your life, and ask God to teach you something through this verse over the next few days. Meditation is one of the most neglected spiritual disciplines in the Christian faith. With our busy schedules, we rarely take time to completely stop and focus on anything. When is the last time you completely stopped and focused solely on a verse or passage from God’s Word? Look again at the Scripture you pick up a moment ago. Choose one word or phrase from the verse on which to meditate. Try to think only about the verse and nothing else. Ask God to remove any distractions or worries from your mind and to speak to you through His Word. As a child, did you memorize any Bible verses in Sunday school or for Bible drill? Do you remember any of them now? Memorizing Scripture is a way to focus on God’s Word through the day. When you memorize Scripture, you can take it with you and meditate on it whenever and wherever you are! As you go on with your day, write down the Scripture you picked and take it with you. Place it in your Bible, on your bathroom mirror, in your car, or anywhere you will see it often. Make it a goal to memorize this verse by the end of the week. After you have it memorized, make a commitment to choose another verse and memorize it, too. Spend some time in prayer, thanking God for providing you with easy access to His Word, and make a commitment to read, meditate on, and memorize Scripture to grow closer to Him. Our kids recently returned from CentriKid summer camp, and it was a blast! You can read all about it in my previous blog post. Each day, campers discovered what it means to grow in your faith. And not only did the kids get a chance to dive into God’s Word, so did the adults. Each day, the adults gathered as well for their own Bible study gathering. Take a look at the pictures below. A popular trend is repurposing and remodeling old and broken items, furniture, and homes. The “before” photos are of condemned homes. These homes were forgotten and unoccupied. The “after” photos are of the same homes after someone spent countless hours transforming them back into something useful and beautiful. In order to restore a house well, you must start on the inside and completely renovate the entire structure. In the end, you might recognize a few of the old features, but it has essentially become a new creation. Before beginning a relationship with Jesus and accepting His gift of salvation, you were like one of the broken, condemned homes. Isaiah 59:2 says “But your iniquities have built barriers between you and your God, and your sins have made Him hide His face from you so that He does not listen.“ This was your state prior to Christ’s intervention. Take a piece of paper or sticky note and write down “Before & After.” Under the word “before,” write a few adjectives that describe your life before you became a follower of Jesus. Through a personal relationship, Jesus offers the opportunity for you to be completely transformed. Like a condemned house, putting a coat of paint on the outside does no good. Through the power of the gospel, the sin that separates you from God is completely destroyed, and your entire being is changed from the inside out into something new. If you are a follower of Jesus, you are a new creation! Pick up your “Before & After” paper again, and under after, list and reflect on the ways your life has changed since becoming a follower of Jesus. Keep this paper as a reminder of the difference Christ has made.